Optimize, create and connect applications on premises and on cloud. 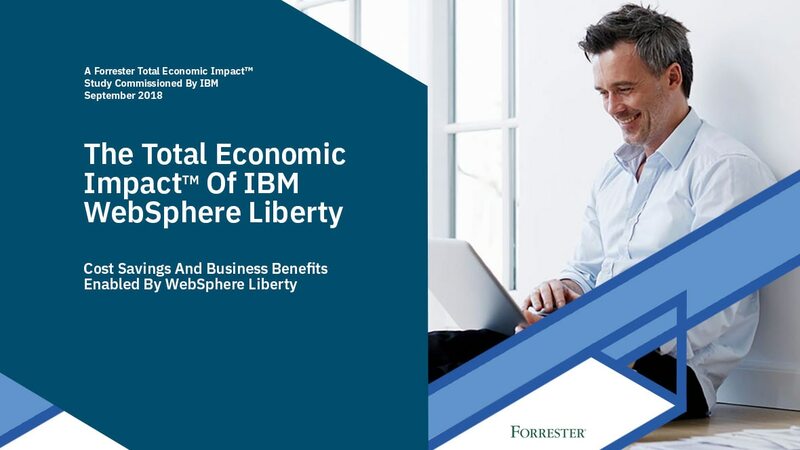 IBM® WebSphere® Liberty demonstrates leadership in Java EE performance, which is shown by being first to publish results for the new SPECjEnterprise2018 Web Profile benchmark on Intel Skylake Xeon processors. Reduce costs with hybrid capabilities that provide the flexibility to deploy and manage apps across any cloud and any container service. 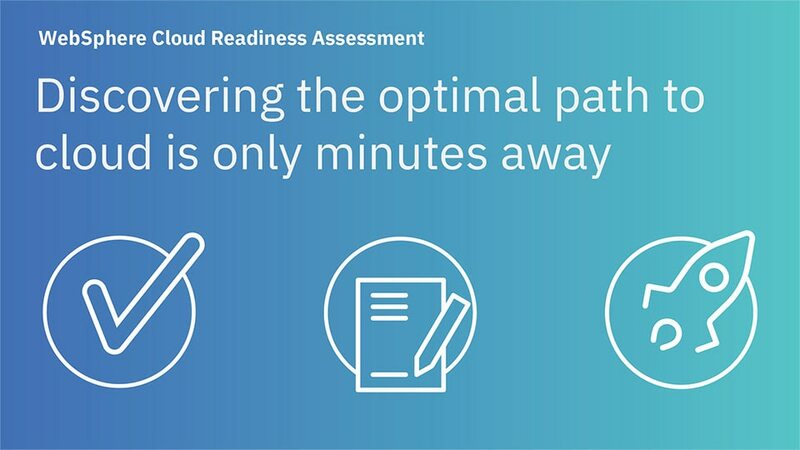 Get up and running in a hosted cloud environment with IBM WebSphere Application Server on Cloud or take advantage of flexible licensing options with IBM WebSphere Application Server Family Edition. Deploy cloud-native and web-based apps and microservices quickly with a lightweight and composable production runtime featuring a single administrative console for Java and Node.js apps and APIs. Unlock new value with API lifecycle management and cloud services like IBM Watson®, IBM Cloudant® and IBM dashDB®. Use IBM Cloud Private to help enterprise customers simplify the creation of microservices and other containerized apps, modernizing existing apps through capabilities designed to help reduce costs. Lightweight production runtime for rapid web and cloud-based application development and deployment. Flexible, secure Java server runtime environment for enterprise applications, provides advanced performance, redundancy and programming models. A runtime environment for large-scale and mission-critical application deployments, offers near continuous availability and intelligent management capabilities. Three products under one license for your enterprise. Support for multiple business models and platforms means you are prepared as your needs change. A wide range of pricing options address the multitude of customer implementations of WebSphere including the perpetual PVU option for long term deployments.